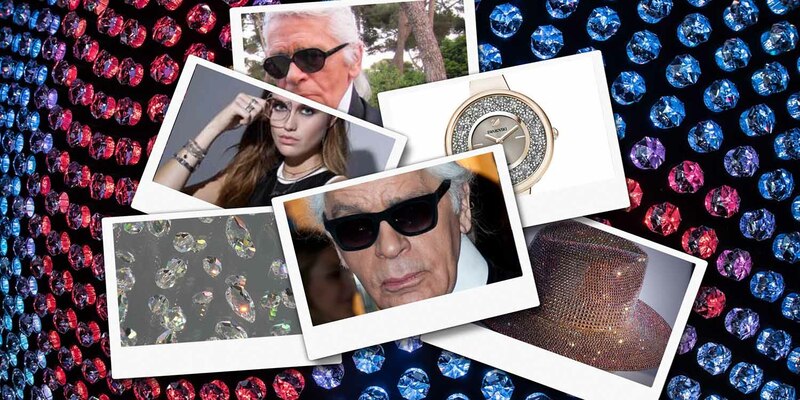 The inimitable Karl Lagerfeld shows no sign of slowing down. Today, Swarovski announced that it has partnered with the tireless designer to bring dazzling new designs to men’s and women’s watches for the Fall-Winter 2019 season. Featuring the brand’s signature aesthetic, the KARL LAGERFELD styles with Swarovski crystals fuse timeless classics with a modern, rock-chic edge. The watches will range from functional and contemporary to classic and sophisticated and will be created using premium materials and iconic Swarovski crystals to make them truly unique. The first collection will launch for the Fall-Winter 2019 season and will be presented at Basel World in March 2019. Following, it will be available worldwide at KARL LAGERFELD stores and KARL.COM, in addition to Swarovski Crystal World retail locations and key partners. The styles will retail from $120 to $300.